ISLAMABAD, Jan 22 (APP):National Accountability Bureau (NAB) has constituted a Combined Investigation Team (CIT) to investigate fake accounts case as per directives of Supreme Court of Pakistan. According to a news release, NAB has onceagain assured that the investigations in fake investigation case would be taken to logical conclusion in light of judgment of Supreme Court of Pakistan transparently,in accordance with relevant law and concrete evidence. NAB has asked media to avoid speculations regarding fake accounts case. 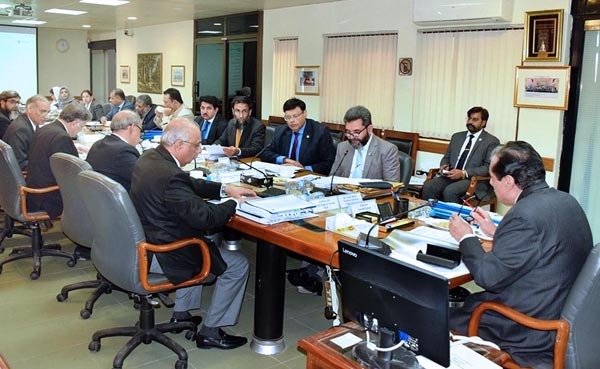 A meeting of National Accountability Bureau (NAB), chaired by Justice Javed Iqbal reviewed the judgment of Supreme Court of Pakistan pertaining to fake accounts case and decided to constitute CIT, headed by Director General NAB Rawalpindi, Irfan Naeem Mangi. Chairman NAB Justice Javed Iqbal would directly supervise the CIT. The meeting was attended by Prosecutor General NAB, Director General Operations,DG, Rawalpindi and other senior officers of NAB.